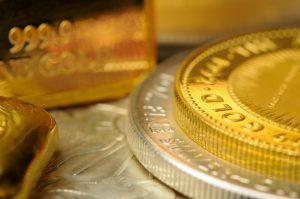 2008 has special significance for gold bugs, both because of the money they lost in August that year and the money they made in the 5 years that followed. Today’s world is beginning to feel eerily similar. The mid-2000s boomed in part because artificially low interest rates fuelled a housing mania that featured a huge increase in subprime mortgage lending. This began to unravel in 2007. In 2008 the crisis spread, threatening to kill the banks that dominated the US and Europe. The markets panicked, with gold and silver (hedges against this kind of financial crisis) plunging too. World governments reacted to the crisis by cutting interest rates to record lows and flooding the financial system with credit, and precious metals took off on an epic bull market. Currently, the global economy is booming because of artificially low interest rates and massive lending to subprime borrowers. Emerging market countries borrowed trillions of US dollars, hoping they would keep falling versus their national currencies, thus giving them a profitable carry trade. Instead the dollar is rising, threatening to bankrupt a growing list of these countries. And once again, gold and silver are getting whacked. So are we back there again? Maybe. Some of the big western banks would probably fail if several major emerging markets default on their debts. And historically, the major central banks have responded to this kind of threat with lower rates, loan guarantees and massive, coordinated financial asset purchases. Watch the Fed. If the EM crisis leads to talk of suspending the rate increase program and restarting QE, then we’re off to the races. Just like 2008.